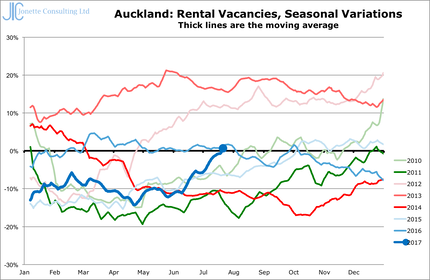 The Auckland private rental market as recorded on Trademe every Monday, has a fast rising vacancy level, now a few points�above the seasonal average for the first time for 4 years. There are now�more properties on the market than are required, i.e. supply exceeds demand, not the other way around as claimed by politicians. 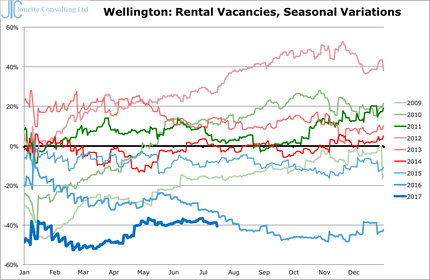 This does not look like a good time to invest in Auckland, and that advice is obviously being followed by developers who I understand are not too keen to invest. �Hence the slow build rate.